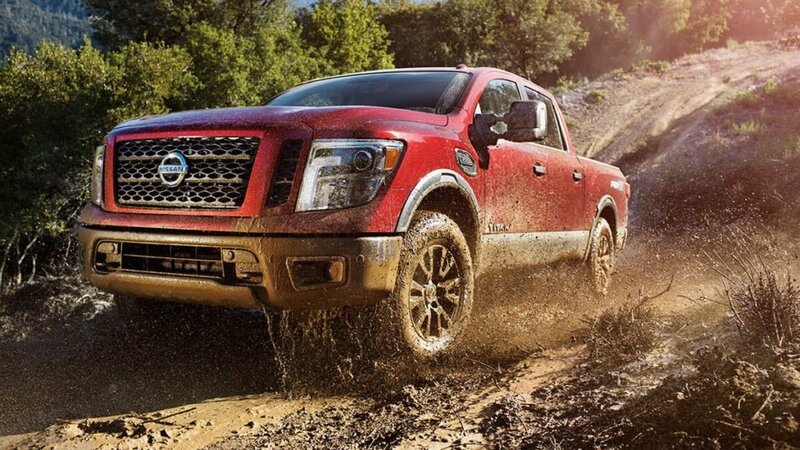 You Are Here: Home > What is the Nissan Titan Capable Of? With tailgate and box illumination, you can load up and go. The Nissan Titan utility features affords you the freedom and capability you want without draining your gas. A factory-applied spray-on bedliner is standard on every trim level. Utili-track® Channel System with four tie-down cleats lets you secure items in your bed. The available front and rear parking sonar system alerts you when you’re too close to another vehicle, and available navigation gets you to every destination! Apply for financing today to drive home with the Nissan Titan utility to let you conquer jobs big or small!